Posted by Gangadhar Kulkarni on August 20, 2016 at 10:24am in How to use this website? LinkedIn today has evolved into an effective marketing tool along with other social media platforms. But using it efficiently is what can help you reap the benefits. 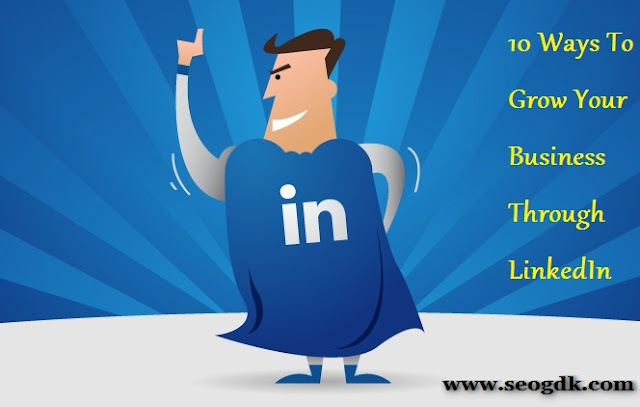 Apart from individuals, businesses too can benefit from LinkedIn by using the right tactics. Participation in most relevant groups is important. You may already be a member of several groups on LinkedIn, but you need to leverage that membership by participating in discussions. Each time you participate, your photo and name are included, plus you can drop in a short signature with your company information on your posts for added promotion.